You have a choice when having your new lawn installed. Domestic lawns have benefitted greatly from the research and successes of the commercial sports grass industry, as there is now a multitude of seed choices in both turf and seed, allowing a particular mix to be installed specific to your own individual needs. For example, you may have shade issues; perhaps your children view the lawn as their personal playground; heavy traffic and pets can dictate your choice, or maybe you would like your lawn to be a lush green even in drought or through mid-winter. The main advantage in using turf rather than seed is that you will have an instantly usable lawn allowing an immediate finish, and year-round installation. Once professionally laid, the lawn needs no more care than you would furnish on an existing lawn, with perhaps the exception of irrigation for two weeks if laid during the growing season. These days the multitude of different turf mixes allow a specific choice appropriate to your intended usage and location, negating the use of bespoke seeding on all grounds, except perhaps economy. 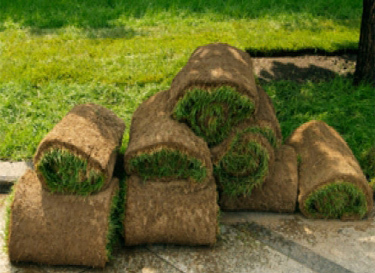 The turf industry has developed significantly, providing a fast food-type fix, and today seeding is used to provide a domestic lawn purely on economic grounds. Seeded lawns have two sowing windows per year – April/May and September/October, and will take a full season of knowledgeable and fairly intensive care to establish into a perfectly finished lawn. 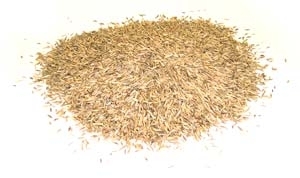 Seeding requires the preparation of an extremely fine seedbed in addition to all the other works appropriate to both turf and seed, and it is also common for over-seeding to have to be carried out during establishment to infill any areas of weak germination.